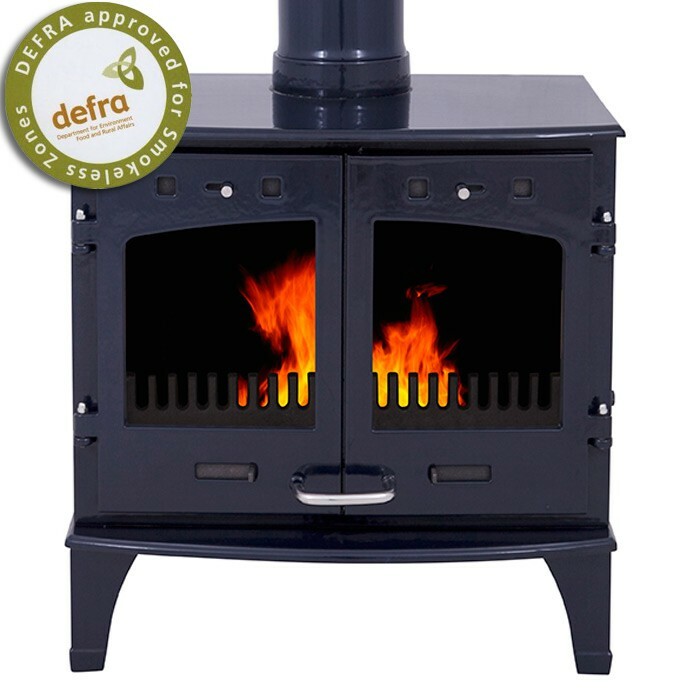 The Carron Blue Enamel 11kW SE Cast Iron stove is a classic, practical design that suits all styles of room decor, both traditional and contemporary. It is suitable for use as a wood burner only or as a multifuel stove. 77.3% efficient when burning wood. 4 piece fire clay brick lined inner. Large double door frame picture windows. Listed price includes 60cm 6" Flue Pipe to match the stove.